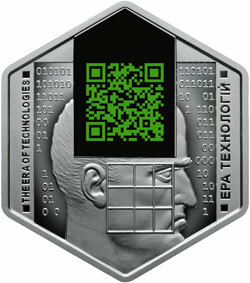 In this topic all coins with a QR code on it can be found. So far 7 such coins have been issued. To be able to scan a QR code with your smartphone or tablet, you may need to first install a QR-code reader from the App Store or Google Play. Almost all of the images of the coins in this topic can also be scanned. The Netherlands, 5 euro, 2011. 100th anniversary of the building of the Royal Dutch Mint. After scanning the QR code the URL http://www.q5g.nl/ appears. Originally that website looked like this. 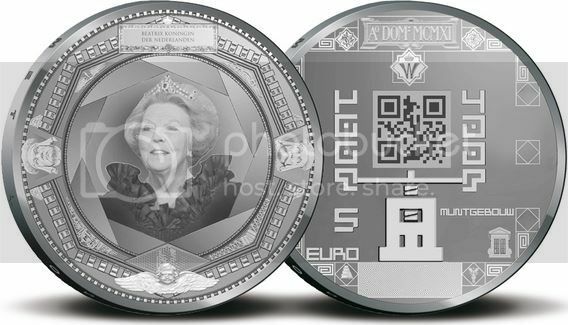 It was a special website about the building of the Royal Dutch Mint and this occasion. Later the domain name was linked to the general website of the Dutch mint but at present it does no longer work. Russia, 100 Rubles, 2014. Olympic Games of 2012. 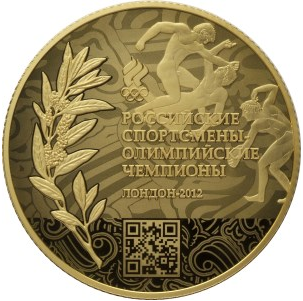 After scanning the QR code, the url http://www.cbr.ru/London2012 appears from which people were automatically being redirected to this page on the website of the Central Bank of Russia on which all Russian athletes that won a medal in the 2012 Olympic Games are listed. These days the webpage http://www.cbr.ru/London2012 does no longer exist. 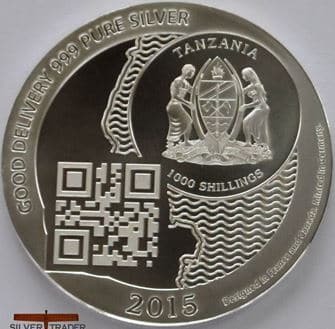 Tanzania, 1000 Shillings, 2015. 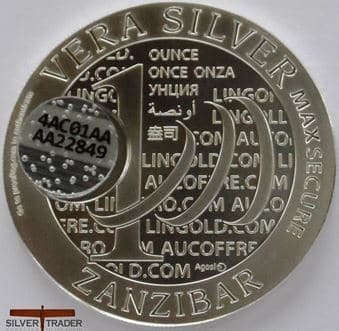 "Vera Silver Zanzibar". The QR-code on the coin refers to the website http://Verav.eu/vz from which you are immediately being directed to this page which gives information about the coin. 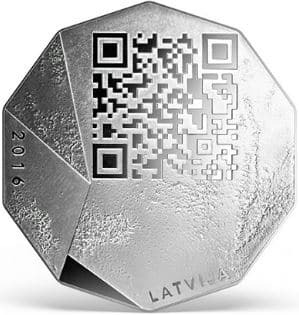 Latvia, 5 Euro, 2016. Entrepreneurship in Latvia. 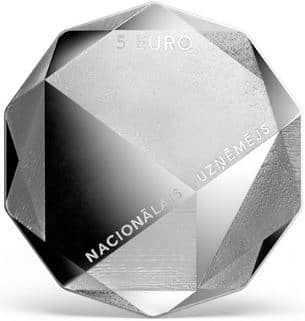 After scanning the QR-code on this coin the text "STRĀDĀ AR DROSMI, UZŅĒMĪBU UN ATBILDĪBU!" appears. This translates to "Work with courage, initiative and responsibility!". The QR-code doesn't refer to a website, only a pop-up appears with this text. 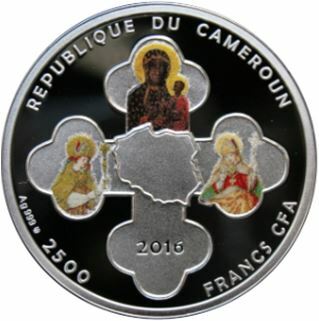 Cameroon, 2,500 Francs, 2016. Jasna Góra Monastery. Design by Sebastian Mikołajczak. 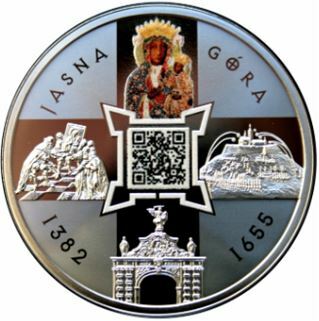 The QR code refers to the website http://www.m.jci.jasnagora.pl which is the website of the monastery. 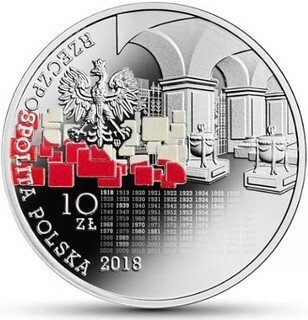 Poland, 100 Zloty, 2018. 100th Anniversary of Independence. 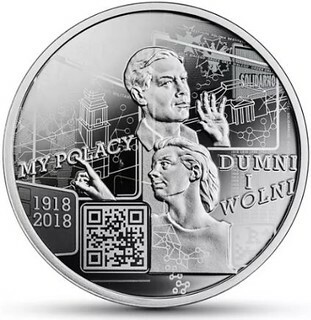 The QR code refers to https://www.nbp.pl/mypolacy from which you are being directed to a website about the 100th anniversary of the independence of Poland. 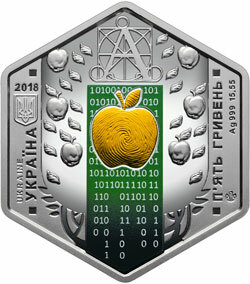 Ukraine, 5 Hryvnia, 2018. 100th anniversary of the National Academy of Sciences of Ukraine - The Era of Technologies. 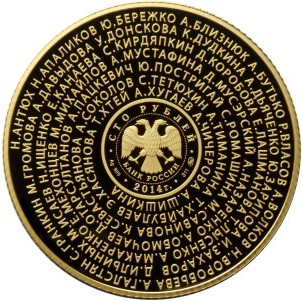 After scanning the code the text ЛЮДИНА ЧАС ПРОСТІР appears which translates to "The human, time, space". 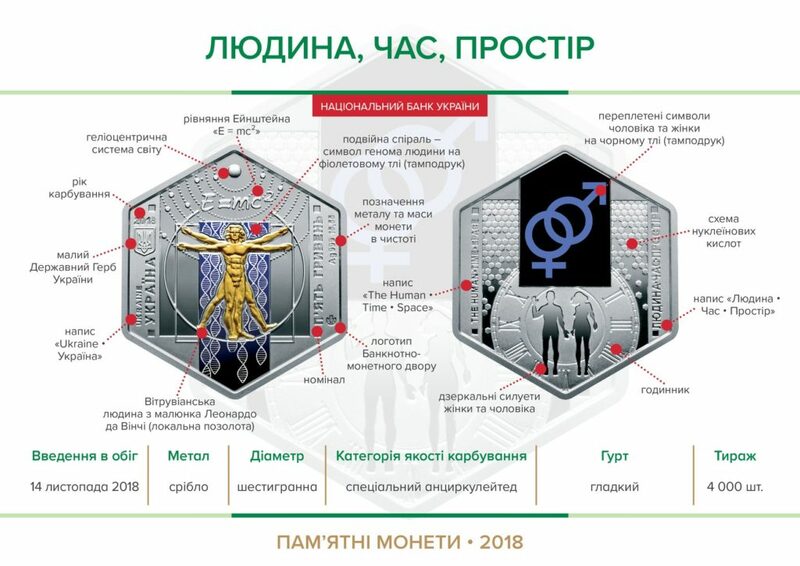 That clearly appears to be a mistake as it is the official name and theme of another coin in the series this coin is part of and not of this one. To be able to scan a QR code, most QR code readers require the code to be of a dark colour placed on a light background. As the bank did exactly the opposite, many readers will not be able to scan it. I got that same result with my Samsung 9+ using the google "Lens" app used directly on the screen.